RUBIS Australian GRAND CHAMPION Goldychocs Bear Hug CCD. Our lovely black boy Oskar does his Driftway family tree proud as he is an impressive boy of lovely type with strong front, masculine head with a kind expression and excellent coat and tail. Oskar is extremely sound and has never been 'wrapped up in cotton wool', he is a compact and sturdy dog who covers the ground with drive and purpose. Friendly with dogs and people - 100% trustworthy temperament. Thanks to Guy Spagnolo/Mark and Bronwyn Sheppard for the opportunity they have afforded us with this successful breeding. Unfortunately Oskar has now passed over to Rainbow Bridge. He spent his final years living his retirement from the show ring in luxury being pampered as he should! We were all very lucky to have shared a part of this special boy’s life. 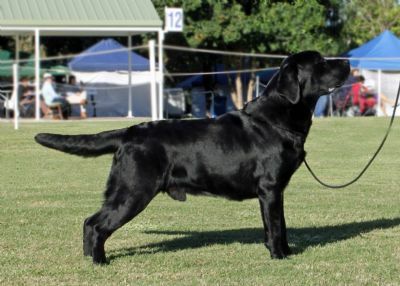 -2011 Oskar gains his Australian Championship Title only four months after his first show with a 21 point Best of Breed and Runner-up Best Exhibit in Group (185 Gundog entries). 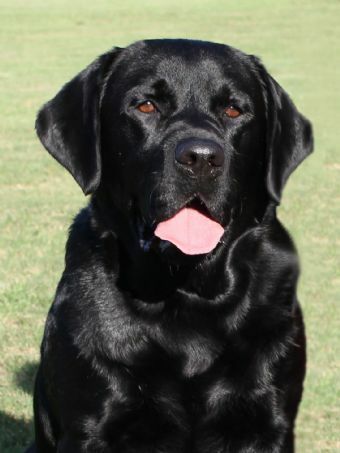 -2013 Oskar gains his Australian GRAND CHAMPIONSHIP Title in just 2.5 years since first setting foot in the show ring. 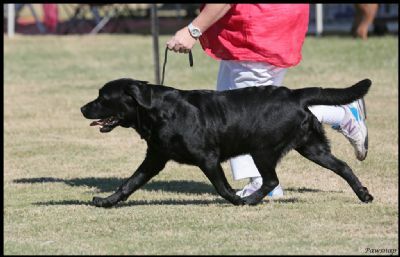 -2014 Oskar retires from the show ring and commences his obedience training gaining his CCD title. D: Waglett Ve Black Vanessa C.D.X.